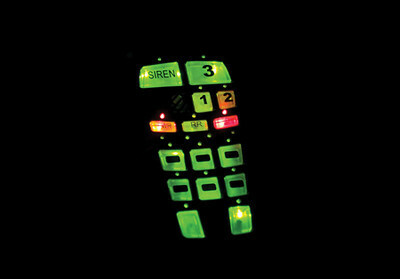 A siren is powerful and allows you to customize and fit your needs! 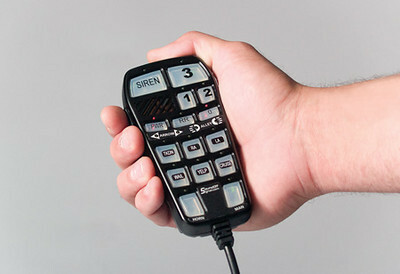 The 385 Handheld Remote siren from SoundOff Signal is powerful in features but compact in size. 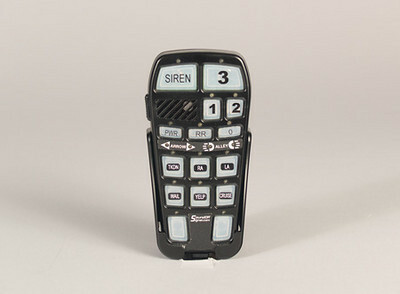 With a handheld remote controller the entire amplifier is hidden away while you can easily control all the functions needed in an emergency response. 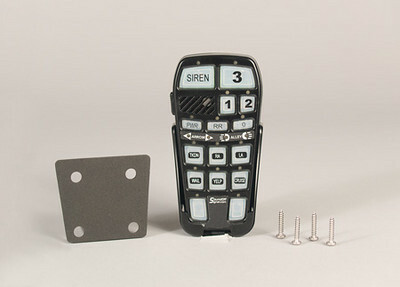 The 385 remote handheld siren is designed to push a 100 watt speaker and is really designed for covert undercover vehicles. It can also easily be used with fire trucks and ambulances as well. Works great with a Class D technology. That means you have fast switching internally. It responds to your commands as quick as you do to a fire. It also means it draws less current and is more reliable. 3 progressive push buttons with 6 fused lighting circuits can be controlled independently of each other. So you can control your LED hide-a-ways, your rear LED deck lighting, your grill lights all completely separate of each other. We really like that feature because sometimes you need that level of LED lighting control depending your specific situation. 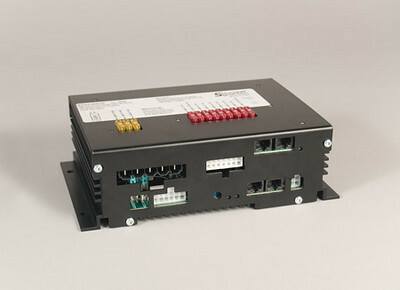 Class D technology with high speed digital switching provides higher effciency, less current draw & better reliability. Constant power over input voltage insuring the decible level is at specification with low input voltages and not overpowering the speaker at high voltages - less risk of burning up the speaker. Reduction in the size and weight of the amplifier and improved vibration resistance. 10-30 Volt (12 or 24V). 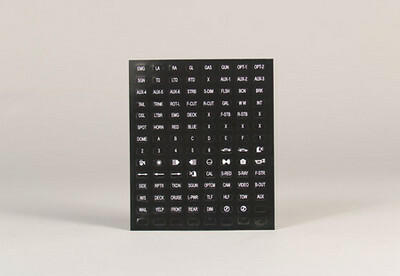 Long-lasting, water resistant rubber membrane push buttons. 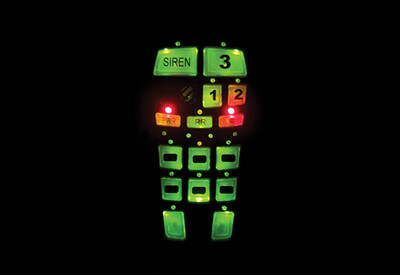 Siren includes legend to label buttons. 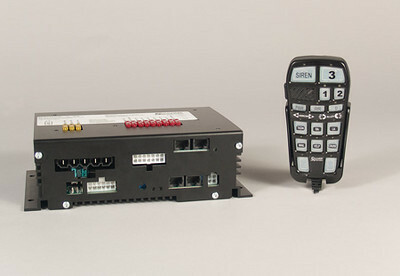 Handheld controller features 3 push buttons & 6 independently controlled accessory push buttons each capable of supplying 19-20 amps. 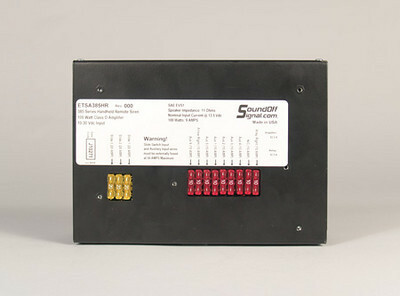 6 programmable push buttons for alternate action ON/OFF, momentary ON, 8 second delay with arrow & alley light control. Arrow control for left, right, center out & off w/ 2-red LED indicators to indicate mode. 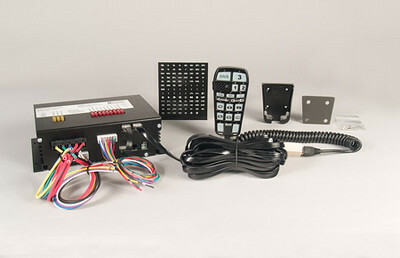 Alley light control for left, right, both & off w/ 2-red LED indicators to indicate mode. Programmable Air Horn, Manual Tone & Volume Control. Controller & Holster feature built-in magnets to secure controller. Primary operating modes are Tone, Radio, PA, Horn Override w/ a push button Manual Override available in all modes.